DiStefano Hair Loss Restoration Centers offer Tricomin® hair care products which have a Triamino Copper Nutritional Complex. 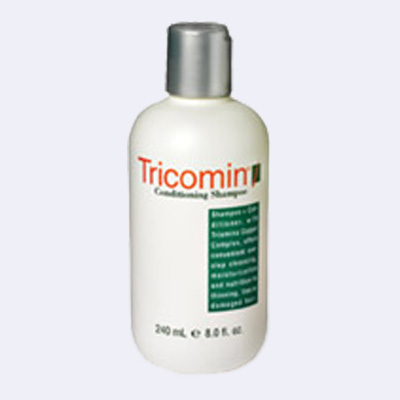 Tricomin Hair Care Products deliver the benefits of years of research and development by ProCyte Corporation, a leader in the art and science of healthy hair. ProCyte products may not be shipped outside the United States or its territories. An exceptional leave-in conditioning formulation with concentrated Triamino Copper Nutritional Complex™. Enriches hair and scalp with a unique blend of essential amino acids, minerals and body-building ingredients. Does not leave hair greasy or hard to style. Perfect for daily use! Combines a unique cleansing and body building formulation with the exclusive Triamino Copper Nutritional Complex™. Bathes the scalp with essential amino acids and minerals. 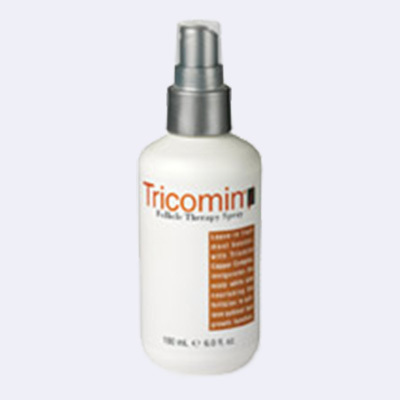 Stimulates and restores health, structure, and vitality to thinning, fine, or damaged hair. A unique moisture and nutrient-rich framework to restore hair’s natural protein and mineral balance. Builds structure, luster, and body into thinning, damaged and otherwise challenged hair. Enriched with Triamino Copper Nutritional Complex™.